OHSAS 18001 is an internationally applied British Standard for occupational health and safety management systems. It enables us to have control over, and knowledge of, all relevant hazards resulting from our normal work operations and abnormal situations that we may encounter. As a result, it greatly improves our safety performance. 18001 helps put in place the policies, procedures and controls needed to achieve the best possible working conditions and workplace health and safety. 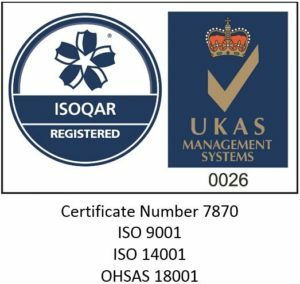 It is a widely recognised and popular occupational health and safety management system and one that we are proud to achieve.